The Scene: bb and K have a cheese and sausage platter before them. The television is being consulted. bb: what's that you've clicked on to there? K: it's the Sports Illustrated Swimsuit models show! bb: yeah, I'm not sitting here, eating cheese, watching that. Why not? What could be nicer than a cosy evening together watching Swimsuit models? It was purely random. I swear. Fie on Swimsuit models, K! Yep. I'm with ya, bb. 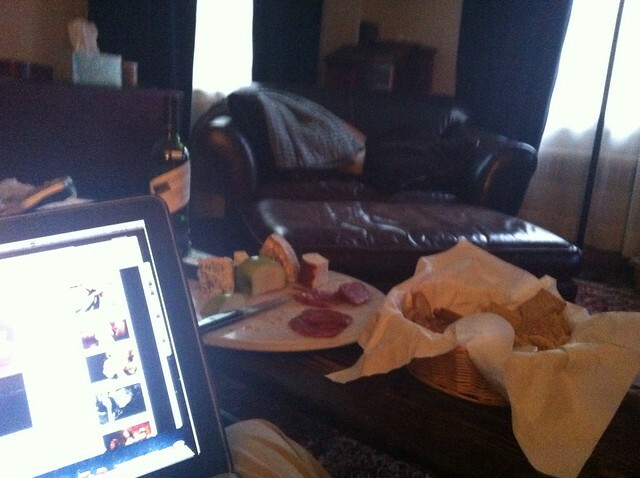 I would have drunk all the wine and finished the lovely sausage platter while he stared at the screen. Randomly. ;) You know I <3 u K!